The actress and web series talk show host talks about her marriage to Will as she shares a family photo. Jada Pinkett Smith reflected on her marriage in a post on Instagram, expressing that she's been watching marriages dissolve all around her and that to her "it’s been really painful." Jada posted a picture of herself, Will Smith, and their children Willow and Trey, and proposed that married couples should never "throw the babies out the bath water" no matter how they handle their marriage. 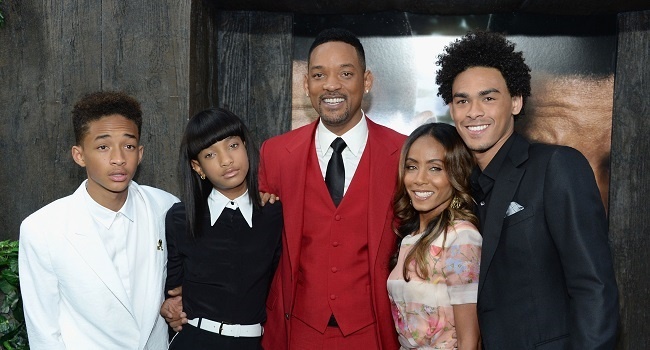 Jada and Will have three children, and the eldest, Trey, is Will's son from his previous marriage. In one of her Red Table Talk episodes, Jada and Will's ex-wife discuss their familiy dynamics and Jada explains what co-parenting with Will has been like. Jada has been married to Will Smith since 1997 and, according to Billboard.com, they no longer see each other as husband and wife but as life partners, and perhaps that's is one of the reasons why they've found ways to make their marriage last.